As some of you know from my Twitter post a few days ago, I recently accepted an exciting role as a small-mid cap analyst in my hometown of Cincinnati. Once I begin my new job, I'm not sure if I'll be able to contribute new posts to the Clear Eyes Investing blog, but I will leave the site up so that the content doesn't disappear. If this is indeed the last new post for a while, I want to thank you for reading and for regularly sharing my posts over the last three-plus years. It means a lot. One of the best (and unexpected) benefits of writing the blog has been the connections I've made with other investors across the world, so if you'd like to stay in touch, you can reach me on Twitter @toddwenning or by email. As much as I enjoy reading investing books, some of the most valuable investing lessons I've learned have come from non-investing sources. Here are a few that I've written down over the years. The specific circumstances change (tulips, dotcom stocks, Nifty Fifty) but investor behavior repeats itself. By studying market history, and history in general, you can get a sense of when investors are acting irrationally and invest accordingly. Time is a precious commodity in many parts of life, including investing. If we're lucky, our investing time horizon stretches a few decades. The longer you delay investing, the less time your money has to compound. Start saving and investing now. Stay within your circle of competence. If you can't break down the company's business into simple terms, you shouldn't buy the stock. When we're stressed or anxious, we tend to act in ways that we normally wouldn't. The markets will rattle you from time to time, but it's important not to act until you're calm and collected. Remaining patient in periods of market turbulence isn't easy, but if we're able to keep calm and make rational decisions in irrational times, we have the opportunity to realize superior returns. Buying a stock without first collecting and considering the facts and figures is pure folly. Don't buy something on story alone and always be aware of any biases you have before you start researching the company. A good one to keep in mind when evaluating management's track record and integrity. It's one thing to miss out on a stock, but it's made a whole lot worse when others around you have capitalized on it (Apple comes to mind for me). Tip your cap to those who were successful and move onto the next idea. One of the key assumptions of the Efficient Market Hypothesis is that all market participants are rational, but investors' decisions are full of behavioral and cognitive biases that cloud or sway their otherwise rational judgement. If we're aware of these biases and can recognize them in ourselves and in others we can improve our results. What non-investing quotes have influenced your investing? Let me know in the comments section or on Twitter @toddwenning. Considering Management's "Capacity to Suffer"
When management makes those investments, they must have the capacity to suffer. They have to suffer during the start-up period of those investments because they are not necessarily linked to at the hip with the Wall Street expectations of smooth and steady quarters, but they are able to withstand the burden of the investment cycle. It is inevitably certain that profits are low or non-existent during these early years. And if you do not have the capacity to suffer through that period, you will shy away from making the accurate amount of investment. Your management will under-invest at a time when they have set an advantage and will allow competitors to come into the market. This is an important point to consider. Can management make the necessary, long-term investments in its business that support or widen its moat without taking on significant career risk in the process? Even if we're talking about an otherwise-strong business, it's not a recipe for long-term success if the CEO is overly-concerned about how a value-accretive investment will impact earnings per share in the current quarter or calendar year and how Wall Street may react to temporary weakness. Put another way, if you're a patient investor in a company that's led by an impatient management team, be prepared for an unpleasant outcome. To remedy this, Russo recommends looking for family-owned businesses that can afford to ignore the short-term obsession of the street and activist investors. When researching a new idea that isn't family-owned, I also look through the list of the company's major shareholders - these are usually mutual funds and institutions. Once you have the list of major owners, take a look at each fund's website to learn more about their philosophy and approach. Are they also long-term focused or do they have high portfolio turnover? How long have they held the stock in question? The more the company is owned by investors who "get it," the less pressure management will likely feel to deliver short-term results at the expense of long-term value creation. What have you been reading? Let me know in the comments section below or on Twitter @toddwenning. Should Long-Term Investors Mind the Macro? One of my key takeaways from the Berkshire Hathaway conference last weekend was that Buffett and Munger don't spend a lot of time, if any, thinking about the direction of the broader economy when they make investment decisions. At one point, Buffett and Munger joked (half-joked?) that they thought any company that employs an economist has one employee too many. 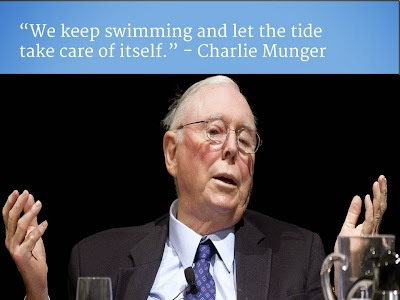 Munger said it was best to declare yourself ignorant about macro forecasts and, when it comes to investing amid uncertain economic times, said that he and Buffett "keep swimming and let the tide take care of itself." Other investors I admire had similar feelings about incorporating macroeconomic forecasts into their investment process. The amount of mental effort the financial community puts into this constant attempt to guess the economic future from a random and probably incomplete series of facts make one wonder what might have been accomplished if only a fraction of such mental effort had been applied to something with a better chance of proving useful. It's lovely to know when there's recession. I don't remember anybody predicting (that in) 1982 we're going to have 14 percent inflation, 12 percent unemployment, a 20 percent prime rate, you know, the worst recession since the Depression. I don't remember any of that being predicted. It just happened. It was there. It was ugly. And I don't remember anybody telling me about it. So I don't worry about any of that stuff. I've always said if you spend 13 minutes a year on economics, you've wasted 10 minutes. I recall during the financial crisis spending a disproportionate amount of time thinking about macroeconomic matters - worrying about hyper-inflation, interest rates, etc. - that would have been much better spent searching for great businesses that had been beaten down. Still, it's important to keep tabs on the macroeconomy, even if we're not actively forecasting it. I would think that Buffett, Munger, Fisher, and Lynch would agree with this statement. Then again, maybe not, but I'm not sure how you invest in any company - especially a commodity-linked business - without having an opinion on where that business might be in its cycle. Truly great businesses run by able management teams should be able to adapt to various economic scenarios and deliver solid results across a full business cycle and beyond. However, it's much more difficult to predict when the cycle will turn, how much it will turn, and for how long it will turn. As such, our research time is much better spent analyzing things like competitive dynamics, strength of the management team, and the company's financial health. We have greater odds of being right on this than we do on forecasting macro trends. How do you use economic forecasts, if at all, in your research process? Please let me know in the comments below or on Twitter @toddwenning. A Closer Look at Peter Lynch's "Principles"
Yesterday, I attended the Berkshire Hathaway Annual Meeting and finally got to see Buffett and Munger answer questions in person. For years I've followed the conference online, but it was definitely worth the seven-hour drive from Chicago to experience it live. If you ever get the chance to make it out here for the conference, I highly recommend it. I've posted some of my pictures below. As always, there were a ton of great quotes and lessons from the Q&A session, but here are my six key takeaways. 1. When evaluating a company, look for reasons not to buy the stock. One of the questions from the audience asked Buffett and Munger to list five positive characteristics to look for in an investment. They declined to list five characteristics, saying the scenarios can change with each opportunity, but that they would focus on finding reasons not to keep researching a stock. To me, that means looking for holes in management's capital allocation process, a declining competitive advantage, and negative aspects of a corporate culture. 2. Focus on buying good companies at good prices and let the economy take care of itself. 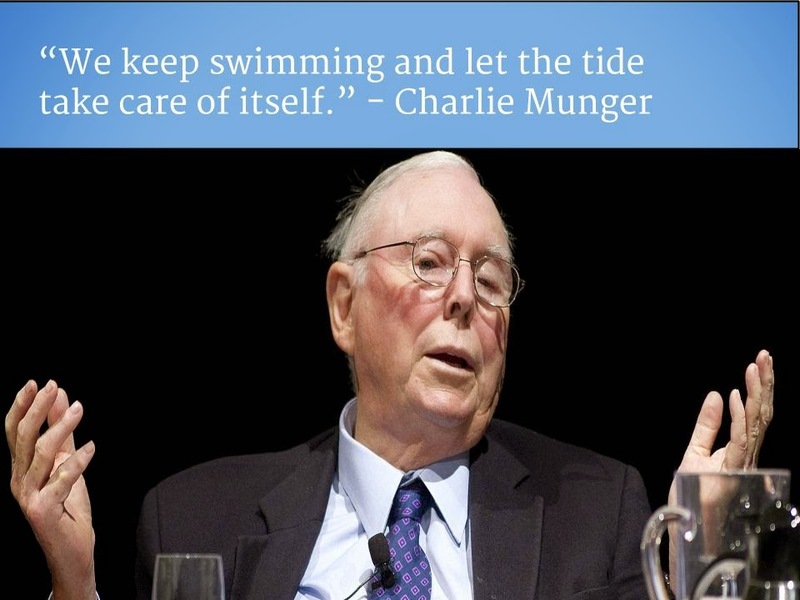 Charlie had a great quote on investing in uncertain macroeconomic times: "We're swimming all the time and let the tide take care of itself." He also said he couldn't recall turning down an acquisition or deal due to macroeconomic factors. At times, they end up being wrong of course, but they're okay with that since they might have otherwise missed out on good opportunities as well. 3. The key is controlling your emotions. Another great quote from Charlie was, "Warren, if people weren't so often wrong, we wouldn't be so rich." A number of times, they reinforced the importance of controlling your emotions and being rational so that you can capitalize on other investors' mistakes. Warren commented that business school training was a handicap 20 years ago when all they did was teach efficient market theory. The market will be irrational and it's your job to know when to pounce on the opportunities. A number of audience members praised Buffett and Munger for creating a company with a sterling reputation. Buffett said that a company's culture and values come from the top (CEO, CFO, etc. ), that they need to be written down, be consistently practiced, and that, with time, you'll have created a business with a great reputation. People will always follow what you do and not what you say. 5. Understand the power of incentives. Buffett said, "Charlie and I really believe in the power of incentives." That is, understanding not just how executives are compensated and incentivized, but also how management's expectations might affect employee behavior. For example, if a CEO has set unrealistically high margin or growth targets, employees may take liberties they wouldn't otherwise to make sure the CEO looks good. These are situations you want to avoid. Buffett commented that no one buys a farm or apartment complex based on how they think it will perform over the next month or so. They think about how it will do over the long-term. It's important that we think of our equity investments in the same way. Be a buyer of businesses, not a trader of tickers. What did you think of the conference? Let me know in the comments section below or on Twitter @toddwenning. Earlier this week, I was thinking back on my baseball card collecting days as a kid and how each month my neighborhood friends and I would get a copy of the Beckett price guide and check the value of our favorite cards. The prices went up, went down, or stayed the same, but a monthly quote was sufficient. "Barry Larkin went 3-for-4 with two RBIs last night; his 1987 Topps card is up five cents today in heavy trading..."
As silly as that sounds, we have no problem doing something similar as adults with our stock investments, spending time on our smartphones and computers watching green and red real-time price quotes that tell us next to nothing about how the underlying business is performing. As long-term, business-focused investors, of course we want to know when the market is offering attractive prices for good companies, but there are ways to keep up without being glued to the quotes screen. My favorite way to do this is to set up price alerts on your favorite financial website. Yahoo! Finance, for example, has a tool that lets you receive an email whenever a stock reaches a certain price point or rises or falls by a certain percentage. The stock market is a wonderful instrument that matches buyers with sellers in a very efficient manner, but it's important to remember that it is a means to an end and not the end itself. It's a tool for us to use to our advantage when we need it. The more time we spend researching businesses and the less time on watching the quotes screen, the better off we'll be in the long-run. After posting some investing advice for my new son a few months ago, a number of readers contacted me to ask how I planned on investing on his behalf - in particular, how I planned on investing for his education. Frankly, I didn't have a great answer to give, so I contacted my buddy Ryan Vogel, CFP® at Private Wealth Management Group to get his opinion. Ryan and I started our careers at Vanguard on the same day and we've remained good friends ever since. Not only is he one of the nicest guys in the business, he's also one of the most trustworthy - a valuable commodity in the finance world. Decent golfer, too. TW: There are a lot of education savings vehicles out there for parents to consider - 529s, Education Savings Accounts, UGMA/UTMAs. Which is the best vehicle for minimizing taxes for the parents and making sure the kids get the most out of the savings plan and financial aid? RV: While saving money on taxes is important, it should not be the primary consideration on how to invest your money for education. The first consideration should be the goals you have for your money. What is the purpose of this investment? How much control do I want to retain? Each account has their pros and cons. 529s - I deal with these the most with my clientele. Potential state tax deductions (depends on state, in PA you get a deduction for amount contributed regardless of what plan you choose). Must be used for post-secondary education costs. ESAs are a better fit for saving for high school education. However, the contribution limit is only $2,000 and there are income limitations. This means that if you earn too much you can’t contribute. You have a much greater choice of investment options in this type of account and the money grows tax free. UTMAs are taxable custodial accounts. You have complete investment flexibility but you receive no tax benefits. I didn’t address the financial aid part of the question because I really don’t have experience in this area. Most of the clients I work with have incomes too high to qualify for any aid. Also, colleges and universities have become much more detailed in vetting the finances of applicants. TW: Which states have the best 529 plans? How should parents evaluate them and their fund options? RV: Nowadays there are plenty of good options. Ohio, Michigan, Utah, New York, Kansas, etc. Since 529’s have trading restrictions, the best thing to focus on is costs. What are the administrative fees? What are the expense ratios for the underlying funds in each plan? What funds are included in their age based option? What are the asset allocations used in the age based options? How about the options available other than age based? Then there are other aspects such as administration. How user friendly is their website? Is it easy to setup auto withdrawal/deposit? Personally, I chose Ohio. I like their aggressive age based asset allocation and the funds and administrative costs are low. The funds are mainly Vanguard and now DFA, which I am happy about. Their website is just OK, but I don’t go on except for when I make ad hoc contributions. Mostly I just stick with my monthly contribution and increase the amount whenever I get a raise. TW: What about setting up trusts for the kids' education? RV: Setting up trusts just for education can be costly and in some cases unnecessary. If you own a 529 you still retain control and ownership of the assets regardless of age (even though the contribution is considered a completed gift for tax purposes). I find education trusts are used mainly as an incentive as part of someone’s estate plan. Basically, the trusts state that the student “go to school and graduate” or they don’t get access to an inheritance or other gift from their family. Another aspect to keep in mind with trusts is that if you don’t have someone to act as trustee and need a corporate trustee, the trust needs to be large enough (usually at least $750k) for a corporate trustee to want to assume liability. TW: How should parents think about asset allocation for their kids' education funds? How should we think about making adjustments as the kids approach college? RV: Be aggressive. Education inflation is averaging 6%. In order to retain purchasing power you will need to take risk. Risk tolerance is important to consider, since you don’t want to get scared and sell at the wrong time, but investing in a stock heavy asset allocation makes sense. As you approach college or any goal where you know the money will be needed, you will want to become more conservative. However, remember that you don’t need all of the money on the first day of college. The four years (or more) will go fast, but that doesn’t mean you need to be 100% bonds and cash on the first day of school. TW: What's the best type of account to use if I just want to buy a few stocks for my kids to teach them about investing and help them build non-education related wealth? *Please note that Ryan's answers are only highlights and are not all encompassing or to be construed as specific advice. One of the things I struggle with the most as an investor is knowing how much capital I should put behind each of my investments. Indeed, the biggest mistakes of my investing career haven't been those where I've lost a little money, it's been the ones where I haven't invested enough in my top ideas. Case in point, in the summer of 2010, I started researching TradeStation, an online brokerage company here in the U.S. that I thought was significantly undervalued. I did a lot of due diligence, spoke with the CFO, users of the product, etc. and thought the odds were favorable that I'd make money on the investment. It was the best idea I'd had in some time. Feeling confident in my thesis, I bought some shares for my portfolio. Fast-forward eight months and TradeStation gets acquired, producing a 60% gain on my investment. A 60% gain is nothing to sneeze at, of course, but the problem was I only put 1% of my portfolio behind my idea. While the investment had a positive impact on my returns, it also didn't have a very meaningful impact. It was akin to getting the proverbial "fat pitch" only to lay down a bunt instead of taking a full swing. What I took from this experience was that you need to invest enough in your best ideas that they can have a meaningful impact on your long-term performance, up to the point where you start to lose sleep over the size of the position. This will vary by each investor's ability to handle risk. Some investors don't mind putting 20% or 30% behind a single stock while others will blush at a 5% position. Either way, it's important to give your best ideas a chance to make a difference. How do you approach position sizing? Let me know on Twitter @toddwenning or in the comments section below. If you're going to be in Omaha for the Berkshire Hathaway meeting on May 2 and would like to meet up, please drop me a line! Peter Lynch's chapter in One Up on Wall Street describing the signs of a "perfect stock" was one of the most influential to my early investing career because it steered my attention away from the water cooler stocks I'd typically hear about and toward underfollowed, niche companies that operated in decidedly unglamorous industries. As I've developed my own style of investing, I've come up with my own list of company traits that I like to look for when researching a new stock. I have yet to find a company that checks off all ten boxes, granted, but if the company possesses at least two attributes, it makes me sit up and take notice. 1. Management and directors have significant skin in the game. One of the first things I check into when researching a company is how much stock management and the board members own. With smaller companies, I like to see executives and directors as a group owning at least 5% of the company, as they'll will be less likely to take undue risks with shareholder capital and more likely to think like owners because they are in fact owners. With larger companies where high-percentage ownership is less realistic, insiders should still own enough where the stock's long-term performance has a material impact on their own net worth. I particularly like to see companies, like Sun Hydraulics (SNHY), pay their board members solely in stock grants with long-term vesting as this increases the likelihood that the board's interests will be aligned with those of long-term shareholders. 2. Its employee turnover is well-below industry average. Having to frequently train new employees is not only negative on the income statement, but the company also loses valuable institutional memory with the departure of each employee. One of the many reasons that Costco (COST) has stood apart from other retailers is that its employee turnover (6% in 2014) is far below the retail industry average. Diamond Hill Investment Group (DHIL) has had zero turnover (at least as of 2013) in its equity portfolio manager and research analyst group since the firm was founded. 3. It's headquartered in a smaller town. This may seem trivial, but I like to see companies based far outside of major financial centers as I think they're more likely to fly under Wall Street's radar, can afford to take a longer-term perspective, and have employees with a better work/life balance (less traffic, affordable housing, etc.). 5. It makes products that can't be (easily) disrupted by technology. If a start-up in Silicon Valley or a teenager in her garage is looking for ways to challenge a company's business model, eventually they'll find a way. That's why I prefer to own companies that make products that aren't likely to change or be disrupted anytime soon (knock on wood), like Douglas Dynamics' (PLOW) snow plows or WD-40's (WDFC) eponymous oil-based spray. 6. It pays a regular dividend and pays special dividends in good years. After particularly strong years, well-run companies often find themselves flush with cash. While this is a good problem to have, it can become a bad problem if management misallocates the capital by pursuing growth-for-growth's sake acquisitions and overpaying for them. Paying special dividends shrinks management's sand box and allows them to focus on only reallocating the capital that can earn high long-term returns. 7. It approaches buybacks opportunistically. Most companies I've come across approach buybacks as a way to return excess cash to shareholders without regard to the value of the shares they're buying back. As such, I like to see a company with a cogent and disciplined buyback strategy like U.K. retailer, Next (NXT.L). Such companies should, over time, create value for long-term shareholders. 8. It prefers to grow organically rather than through aggressive acquisitions. A company that's willing to start from scratch in new markets and build the business slowly and in the manner they want shows me that they're willing to take a long-term approach. 10. It has a meaningful recurring revenue stream. One of the best investments I've made was in a healthcare equipment company called Kinetic Concepts, also known as KCI, which was acquired in 2011. KCI makes negative-pressure wound therapy equipment for healing difficult-to-treat wounds, and the great thing about their business model was they lease or sell the equipment and sell the one-use dressing kits that needed to be changed out during treatment. The disposable product sales provided KCI with a steady recurring revenue stream that gave me added confidence to buy the stock in November 2008 at a time when the market in turmoil. What company attributes do you look for? Let me know on Twitter @toddwenning or in the comments section below. *I own shares of Douglas Dynamics, Sun Hydraulics, Diamond Hill, and WD-40. A list of my current holdings can be found here. Book Review of "The Outsiders"
Has Long-Term Investing Become Too Popular? Having publicly written about investing since 2006, it's been interesting to observe changing investor opinion on long-term investing. In the years following the financial crisis, for example, I would routinely receive reader comments and emails saying that long-term investing was flawed. And to be fair, they had numbers on their side, as ten-year trailing returns for the S&P 500 were unimpressive. 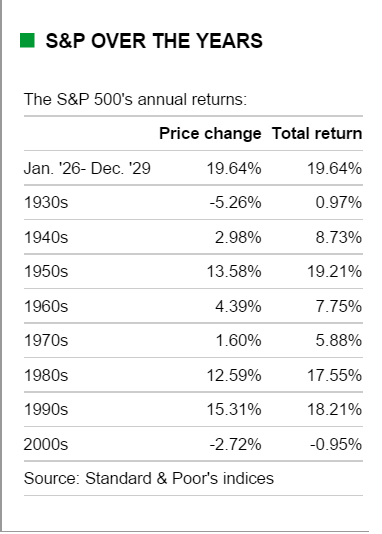 As late as 2010, investors in the S&P 500 were looking back at a "lost decade" with negative ten-year total returns. It was easy to see why investor patience was in short supply. Even though the starting point of that ten-year period was the beginning of the end for the tech bubble, ten years is still a long time to wait for positive returns. What a difference a few years of steady market gains makes. Since starting this blog three years ago and writing about the benefits of long-term investing, I have yet to receive any pushback on whether or not long-term investing works. 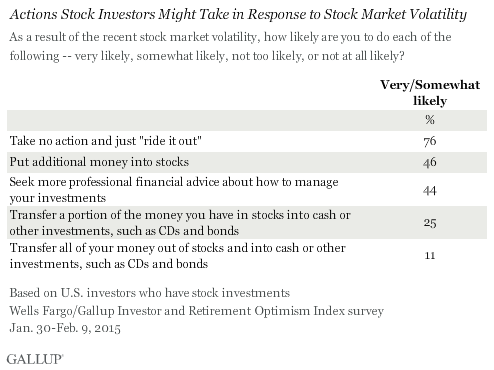 Indeed, a recent Gallup poll (h/t Ben Carlson at A Wealth of Common Sense) shows that the majority of investors today say they'll do nothing in the face of market volatility and nearly half said they'd put more money into stocks in the event of a sell off. Of course, what investors say they'll do and what they'll actually do are two different things. (Everyone is a long-term investor when the market's going up, but we find out who really means it when the market falls.) However, the level of fear in the market seems to be rather low at the moment and that's not a great thing if you're looking to invest more into the market. Does this mean you should do a 180 and become a daytrader? Absolutely not, but it does mean you should tighten rather than loosen your criteria for making a new investment. As one of Buffett's more famous sayings goes, "The less prudence with which other conduct their affairs, the greater prudence with which we should conduct our own affairs." Annual report season is upon us, which presents an opportunity to better understand our current portfolio holdings and watchlist ideas, as well as management's strategy and outlook. Here are five signs of a good annual report -- that is, one that is helpful, informative, and could signal that a smart management team is at the helm. 1. They aren't afraid to admit mistakes: If the company had a bad year, was management forthcoming about what went wrong or did they sweep it under the rug? Assuming it's something they can control, do they have a clear strategy for not repeating the mistake? Frank discussions of mistakes also help shareholders gain insight into management's decision-making process. This year's Berkshire Hathaway annual report features a number of discussions about mistakes the company has made over the years. 2. They spend time talking about capital allocation: One of the things that William Thorndike stressed in The Outsiders was that capital allocation is a CEO's most important job, yet it's remarkable how few annual reports provide details on the company's capital allocation strategy. How do they prioritize uses of free cash flow? Does the company have a clear and appropriate buyback and dividend policy? U.K.-based retailer, Next, does a particularly good job outlining its capital allocation philosophy in its annual report, as does U.S. based textile firm, Culp. 3. They focus on returns on capital and economic profit: A recent study by IRRCi found that 75% of companies in the S&P 1500 don't use any balance sheet/capital efficiency metrics like ROIC, ROE, or EVA in determining long-term management incentives. This opens the door to management pursuing growth-for-growth's-sake and destroying shareholder value; therefore, I see it as a positive sign when a management team is held accountable for the cost of the capital that its using to grow the business over the long-term. It's an even better sign when ROIC is ingrained in the corporate culture. Good examples of annual reports that discuss ROIC and economic profit metrics are Constellation Software and Sun Hydraulics. 4. They communicate plainly. In my experience, too many companies assume readers of their annual reports have intimate knowledge of key industry phrases and metrics or they make the business sound more complicated than it really is. I like to see companies that take the time to explain their business in everyday language that can be understood by all stakeholders and readers. Admiral Group's annual report is a good example of this. 5. They provide helpful data points. Good annual reports should contain enough data points to help investors fully evaluate the company's performance. Obviously all companies are required to disclose financial statements, but I like to see more granular data offered at the segment and product level, too. Costco does a great job of this in its annual report. Companies that don't provide data beyond what's required makes you wonder why the data isn't being shared. What do you look for in companies' annual reports? Let me know in the comments section below or on Twitter @toddwenning. Please note: Going forward, links to articles I've been reading will be found in a separate post. *I own shares of Admiral, Berkshire, Culp and Sun Hydraulics. A list of my equity holdings can always be found here. As I read through the 2014 Berkshire Hathaway letter last weekend, one section stood out to me as being full of great investing lessons. Attentive readers will notice that Tesco, which last year appeared in the list of our largest common stock investments, is now absent. An attentive investor, I’m embarrassed to report, would have sold Tesco shares earlier. I made a big mistake with this investment by dawdling. At the end of 2012 we owned 415 million shares of Tesco, then and now the leading food retailer in the U.K. and an important grocer in other countries as well. Our cost for this investment was $2.3 billion, and the market value was a similar amount. During 2014, Tesco’s problems worsened by the month. The company’s market share fell, its margins contracted and accounting problems surfaced. In the world of business, bad news often surfaces serially: You see a cockroach in your kitchen; as the days go by, you meet his relatives. While it was nice to hear Buffett's thoughts on his mistake with Tesco, I was surprised that he started the story at year-end 2012, as it's important to consider the full timeline of the investment. Buffett started his position in 2006 and owned 3% of the company by the end of that year. At the time, Tesco was led by CEO Terry Leahy who, over a 14-year tenure, more than quadrupled the company's pre-tax profits and its store count. The company set its sights on international expansion in the U.S. and Asia and established a dominant share of the U.K. grocery market. Things were looking up for the business. In June 2010, however, Leahy surprised the market by announcing his retirement. He was replaced by lifelong Tesco employee and head of international operations, Phil Clarke. Tesco struggled over the next eighteen months, as the U.S. operations floundered and U.K. discount grocers began chipping away at Tesco's market share on its home turf. And despite a profit warning after a bad 2011 Christmas trading season, Buffett increased his stake in Tesco to 5.2% in January 2012. Many observers, including yours truly, thought that this investment amounted to a vote of confidence in Tesco management and its business prospects. Around the same time, however, Neil Woodford, a well-known UK fund manager, announced he had sold his entire Tesco stake after owning shares for the better part of 20 years. He also laid out a compelling case for why Tesco had lost its way, wasn't practicing smart capital allocation, and was battling structural headwinds. I point this out to illustrate that there were some well-founded and known concerns about Tesco's management and competitive advantages -- two core components of Buffett's investment philosophy -- in early 2012. I would be interested to know at what point between his increased investment in 2012 and when he began to "sour" on management in 2013 that Buffett began to rethink his Tesco thesis. Every investor makes mistakes. Even Buffett. The key is to recognize them, correct them as quickly as possible, and learn from them. Doing nothing is doing something. It's important to be patient, of course, but even though you may not be buying or selling a stock, you're still making an active choice to hold. If you have concerns about key points in your thesis, doing nothing and hoping the problem goes away on its own isn't a good strategy. 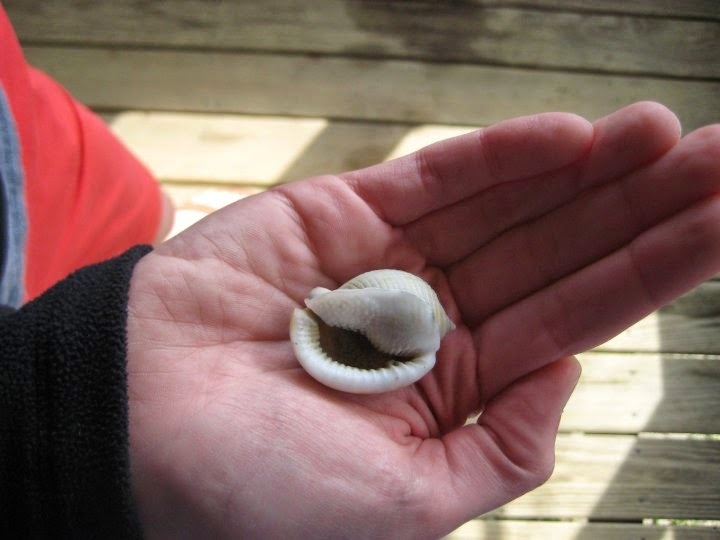 A few years ago, my wife and I were vacationing on an island in North Carolina and spent some of our downtime combing the beaches for seashells. We weren't having much luck finding good specimens on the popular main beaches that were picked over by other tourists, so we decided to kayak to a more remote area of the island where the sea met the sound to see if that improved our fortunes. Indeed it did. Within a few minutes on the less-traveled shoreline, we found better shells than we'd found in a few days on the popular beaches, including a relatively hard-to-find intact Scotch bonnet shell. There are clear parallels for us as investors. So much of the market's attention is focused on the largest companies that finding deeply undervalued companies among them is rare. Like patrolling the popular beaches for good shells, the only times you're likely to find treasure among large cap stocks is right after a storm when everyone is still taking shelter. This was very much the case in the years immediately following the financial crisis when many quality large caps were trading with attractive yields over 3%. Even as late as December 2011, the S&P Dividend Aristocrats Index, which consists of S&P 500 companies that have raised their payouts for at least 25 consecutive years, yielded 2.7%. Unfortunately, the quality large-cap dividend beach is now as crowded as Panama City on spring break and deep values and attractive yields are thus harder to come by. Of the 53 current S&P Dividend Aristocrats, for instance, only 13 currently trade with dividend yields over 3%. 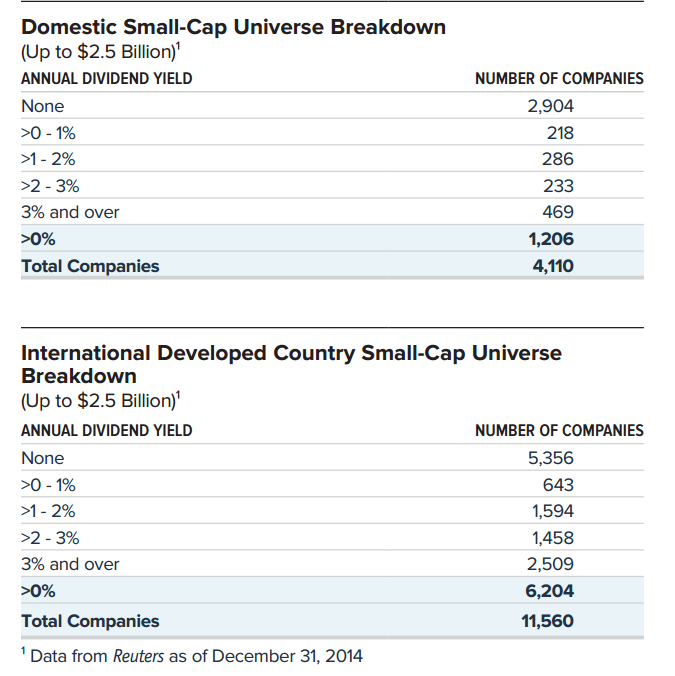 It's important to keep in mind that the universe of high-quality large cap dividend-paying stocks is relatively small. When we also consider that in the last two years alone, $39 billion flowed to dividend-themed ETFs (most of which are heavily large-cap focused) alone, it's easy to see how valuations have become stretched and yields depressed. If your aim is to invest in the dividend stocks with best chance of outperforming in the coming years, your energy is best spent in areas of the market with less investor interest. Low debt or preferably no debt. More diversified larger firms can get away with having more financial leverage and can typically get better rates on their borrowings, whereas smaller companies tend to be more cyclical or more reliant on one product line, so a rock-solid balance sheet is a must-have for a smaller company that pays a dividend. An invested leadership team. Unless they are founders themselves, executives at large companies are unlikely to own a meaningful percentage of the company. To own 1% of a $50 billion company, for example, would require an ownership stake of $500 million. Small cap executives, on the other hand, can more reasonably own a good stake of the business. With small caps, I like to see insiders own at least 5% of the company as it should motivate them to allocate capital with a long-term ownership perspective since they have skin in the game. Steady free cash flow generation. This is always necessary when evaluating dividend-paying stocks as dividends must ultimately be funded by free cash flow in order to be sustainable. It's a particularly good sign when a small company is able to generate free cash flow across the business cycle. Dominant in a profitable market niche. Small companies with dominant shares of niche markets are less likely to attract the attention of large competitors. In many cases, the niche is too small to make a difference for the large competitors and if the niche is attractive enough, the larger companies are more likely to simply acquire the dominant player instead of entering the market themselves. Operates in a decidedly boring industry. I like to see a small company operating in an industry that's unlikely to attract investor attention -- e.g. industrial parts, safety equipment, and food processing equipment. The longer the business can fly under investors' radars and not be of interest to potential competitors, the better. A payout ratio below 50%. Small companies with a long growth runway should be reinvesting at least half their cash back into the business to fuel long-term dividend growth. A firm that is paying out much more than 50% of its earnings is likely in the mature or declining stage of its lifecycle. Researching smaller cap dividend-paying stocks requires a bit more legwork than researching large caps where information and analysis is more plentiful, but if you want a chance to beat the market by a meaningful margin over the longer-term, it's the right place for dividend-minded individual investors to spend a good chunk of our research time.